Recently, Toyota provided what might well end up being the feel-good motoring story of the year, by promising to replace the Tundra pickup of a brave nurse. Allyn Pierce had used his truck to evacuate the people from Paradise hospital - where he is lead nurse of the intensive care unit - with the vehicle left charred and melted from its two trips through the deadly Camp Fire that hit California this month. 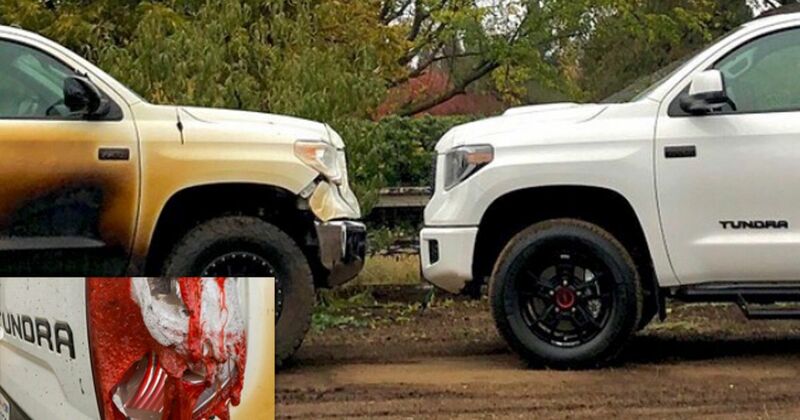 Now, Pierce has posted a photo of the replacement Tundra which Toyota has supplied, facing off with the damaged original. In addition, The Rockstar Garage - which had originally offered to step in had Toyota decided against honouring its promise - visited Pierce, and it now seems the outfit will be modifying the new vehicle. The new truck will hopefully come as a silver lining for Pierce, who is now without a home and a workplace. The wildfire - the deadliest in California history - covered an area in excess of 150,000 acres, destroyed almost all of Paradise, and is so far confirmed to have claimed the lives of 83 people.